SEGA-published games starring aliens are historically controversial. 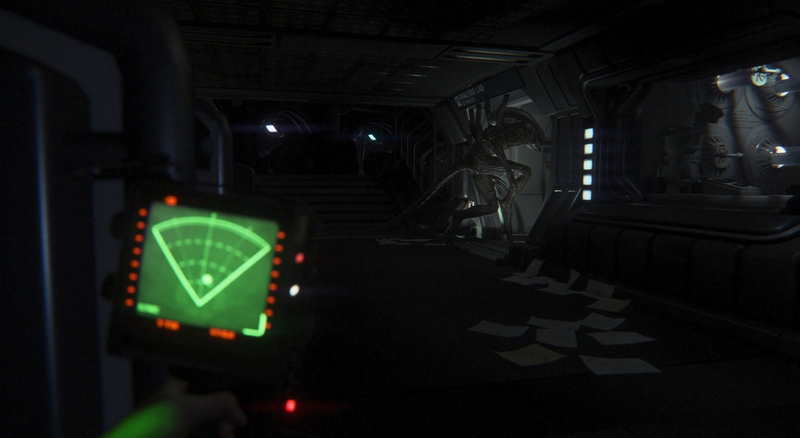 After all, the unmitigated disaster that was Aliens: Colonial Marines is still fresh in our minds. Although Gearbox Software, the studio officially charged with the responsibility of developing the game, was front and center in the controversy. During this, SEGA appeared to be the victim as they funded the studio with millions of dollars that the studio allegedly invested in developing Borderlands. Enemy Zero remains one of the best SEGA-published alien games. Most of you would be saying that the aforementioned controversy is hardly historic, and, for the most part, you would be right. The historical controversy that this feature will be discussing is another aliens game, albeit one without the Alien license. I am talking about SEGA heritage title Enemy Zero. What made the game controversial was it was actually supposed to be a PlayStation 1 game. However, Enemy Zero’s designer Kenji Eno (may he rest in peace) grew angry with Sony Computer Entertainment of Japan over how they failed at distribution of his last game D. According to Eno’s interview with 1up.com, Sony failed to supply retailers the necessary pre-orders. If that wasn’t enough, Eno returned to stage with a MuuMuu’s plush doll (Sony’s Japanese mascot), and he proceeded to throw it on the stage floor and stomp all over it. 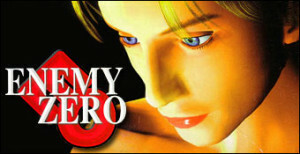 Eno may not have been a first party SEGA developer, but he successfully became part of one of the most historical controversies associated with the company. Since he had severed all ties with Sony, the remainder of his career as a game designer was spent as a second-party SEGA developer with his studio Warp. Another cool thing he did with SEGA was design a game called Real Sound for blind people. Eno agreed to make the game a Saturn exclusive as long as SEGA agreed to donate a 1,000 Saturns with Eno himself donating a 1,000 copies of Real Sound to the visually disabled. Back to Enemy Zero, I could type up a brief description about this game or I could refer you to a very concise review by our very own Andrew Pine. All you need to know about the game is eloquently summed up here. With two of the most controversial SEGA aliens games out of the way, let’s fast forward to present day. SEGA has announced plans of releasing another Alien game called Alien: Isolation, and this time around with in-house developer Creative Assembly at the helm. If you’re out of the loop, here’s a quick developer diary that explains the game and its mechanics eloquently. Hhmm Sonar as a primary gameplay Mechanic? I wonder if I have ever seen it somewhere? Tell me, if I am the only one who is seeing similarities with Enemy Zero? 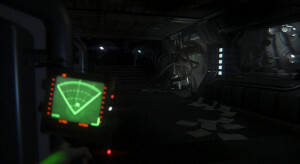 To be fair, it’s obvious Enemy Zero was inspired by the Alien franchise, but it seems only appropriate that Eno’s alien title is now apparently inspiring The Creative Assembly with the use of the sonar as a primary gameplay mechanic.